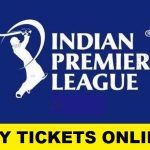 The new edition of Indian Premier League is all set to be on its way from the 5th of April 2017 and all arrangements for the tournament have already been made. The franchises have picked their players, the contracts have been signed, the dates have been finalized for all the matches and the venues have been decided. 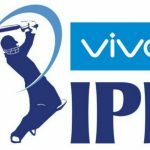 In IPL 2017, 8 franchises will be seen in action and a total of 60 games will be played at 10 different venues. And, obviously, venues play a really important role in the final outcomes of the matches. So, it’s worth taking a look at IPL 2017 venues and discovering what kind of games can be expected in IPL 10. The first venue on the list is M. Chinnaswamy Stadium, Bangalore. The 40 years old stadium lies right in the heart of Bengaluru city and can host 38,300 spectators. The wicket at M. Chinnaswamy Stadium is a typical one and strays away from ‘turning track’ maxim which stands true for all the international wickets in India. Lately, it’s been a pacy and bouncy track and is expected to support the bowlers more. It will be a paradise for fast bowlers as seen in recent matches played at this venue. Feroz Shah Kotla is another wonderful cricket ground in India that has a reputation of hosting some of the most exhilarating games of cricket. Established back in 1883, Feroz Shah Kotla is second oldest cricket stadium in India to host international cricket that is still functional. The home side hasn’t been defeated in Tests for more than 28 years at this venue and the same record stands for more than a decade in ODIs. The wicket here is great for T20 cricket and is full of runs. 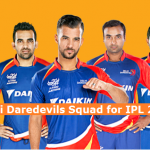 So, some exciting games can be expected here during this season of IPL. The venue in Hyderabad for IPL 2017 is Rajiv Gandhi International Cricket Stadium which can host 55000 spectators at a time. However, its maximum capacity is 65000 people. There have been several records made at this venue and the wicket here is full of runs as well. However, good bowling gets rewarded too. The venue also takes pride in hosting the opening match as well as the Final of IPL 2017. The Holkar Stadium in Indore got the name in 2010 when it was named after Marathas’ Holkar dynasty which ruled Indore. It is amongst the newest international cricket stadiums in India and was made a Test Venue in 2016 when it hosted its first Test match between India and New Zealand. It has the capacity for 30000 cricket fans and offers floodlights as well. Even though the ground hasn’t hosted any T20Is yet but it is selected to host the matches of IPL 10. Green Park, with a capacity of 45000, is the IPL 10 venue in Kanpur and is home to Gujarat Lions. The venue also hosted a couple of T20 matches in Vivo IPL 2016 and is set to host a couple of games in Vivo IPL 2017 as well. The wicket here is a traditional one and always assists spinners. Eden Gardens in Kolkata is one of the most beautifully architected grounds in India. With a capacity of almost 68000 spectators, Eden Gardens is the second biggest ground all over the world after famous MCG. The ground is famous for hosting quite a few world cup finals as well and underwent some renovations for the same purpose as well. Some great games of cricket are expected here this time around as well when IPL 2017 will come to Kolkata. IS Bindra Stadium is commonly known as Mohali Stadium and is home to Kings XI Punjab in IPL. Though the capacity of this ground is just 26000, it has still managed to join the list of Test Venues in India lately. The wicket here has become slow in recent times which makes it a paradise for spin bowlers. The Wankhede Stadium in Mumbai is yet another famous cricket grounds in India. Having hosted the Cricket World Cup matches in 2011, the capacity of the venue was increased to 32000. There have been many high-profile games of cricket hosted at this venue in the past that included Sachin’s last match of international career. As the stadium is located near seaside in Mumbai, it has always offered fair bit of assistance to swing bowlers. The wicket is made using red soil for assuring consistent bounce. 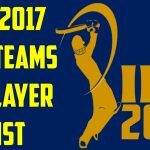 So, batsmen are going to have a hard time while playing here in IPL 10. The Maharashtra Cricket Association Stadium in Pune is home to Rising Pune Supergiants in IPL 2017. With a capacity of 37000 spectators, this venue can host big and vociferous crowds. It is also amongst the newly built cricket venues in India but has earned enough reputation to host IPL matches. The last venue on the list is Saurashtra Cricket Association Stadium located in Rajkot. It is the first stadium in Gujarat that is completely solar powered. Though not many games have been played at this venue so far but it has still hosted several records. In the very first ODI played at this venue, both sides scored in excess of 300 runs and that certainly gives good account of the kind of wicket this stadium possesses. All these venues have been prepared well for the next edition of IPL that is all set to start in less than a month. So, stay tuned and catch all the action as IPL 2017 gets underway.